(Rochester, NY) June 16, 2016 – Connections with Evan Dawson, WXXI’s daily radio talk show, hosts a special week dedicated to summer reading beginning June 20th. Following a successful first venture last July, guest host Scott Fybush is back in studio for a week-long roundtable about books and writing in the first hour, followed by interviews with local and national authors in the second hour. 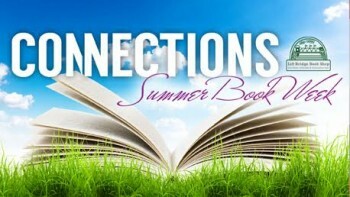 Connections Summer Book Week airs Monday, June 20 through Friday, June 24 from 12 p.m. to 2 p.m. on WRUR-FM 88.5, AM 1370, WEOS 89.5 (Geneva) and online at WXXI.org/listen. In conjunction with the week-long special, Fybush has put together a list of books for listeners to read and then join the conversations with his guests. The list can be found at: WXXInews.org. Highlights for the week include: Andy Babiuk, local musician and author of “Beatles Gear”; NYFA fellow and award-winning authorSonja Livingston, who wrote “Ladies Night at the Dreamland”; Joe Flaherty, the retiring executive director of Writers & Books (WAB) and Kyle Semmel, WAB’s new director; and national best-selling author Richard Russo, who wrote “Nobody’s Fool” and whose new sequel “Everybody’s Fool” is on top of the New York Times fiction list. Connections Summer Book is supported in party by Lift Bridge Book Shop.